Food is such an important part of the travel experience for us. It not only satisfies our hunger, but it also bridges our cultural curiosity and often helps guide us. Sharing meals brings people of different backgrounds together and creates connections in a way that perhaps no other activity can. Food serves as a natural learning conduit from which a deeper understanding of a place and its people can emerge. But what about when the trip is over? That’s where the food souvenir comes in. When we travel, our bags home are often stuffed with spices, sauces, local kitchen tools, and herbs and spices from the places we visited. To us, this is more satisfying and resonant than trinkets or traditional souvenirs. Armed with local tools and ingredients, we attempt to recreate the dishes we ate abroad, and we share those dishes and experiences with our friends. This approach helps us keep our travel memories alive and in context long after the trip is over. We return to the memories of our trip while kindling interest in the cultures and places we’ve visited and enjoyed in our friends. And, in turn, even more memories are created. Whether it’s “Mother-in-Law Masala” spice from the Bo Kaap neighborhood in Cape Town, South Africa, or berbere spice from the central market in Addis Ababa, Ethiopia, or a homemade laza chili sauce made by roasting chili flakes from Karakol, Kyrgyzstan, each spice and its flavour can reactivate a memory and represent a dish, a cooking course, an encounter, or story from our travels. In this way, each bite takes us back. When you enjoy the taste of something you eat while travelling, ask questions. Imagine how you might recreate that dish at home, and inquire about the ingredients that were used to make it. We enjoy visiting markets and sampling foods, talking to vendors, and taking photographs during our travels. 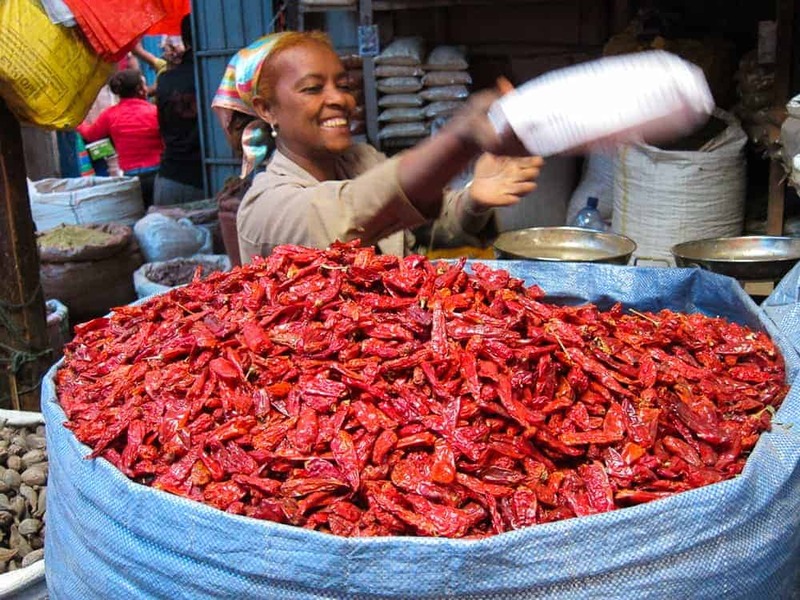 Those encounters, however, are made even more interactive when you happen to have a mission: Begin with a list of spices and ingredients you’re looking for, and engage locals and vendors in helping you find them. The more questions you ask, the more natural opportunity you’ve created to bring a taste of your travels back to your home kitchen. Earlier this year in Sri Lanka we took an excellent cooking course in Ella where we learned to make six different curries and received a good background in the core spices and ingredients of Sri Lankan food. With the help of the chef who led the course, we compiled a list of ingredients we would need to recreate this back home. On our final day in the Sri Lankan capital of Colombo, we visited Pettah Market, just behind the central bus station. 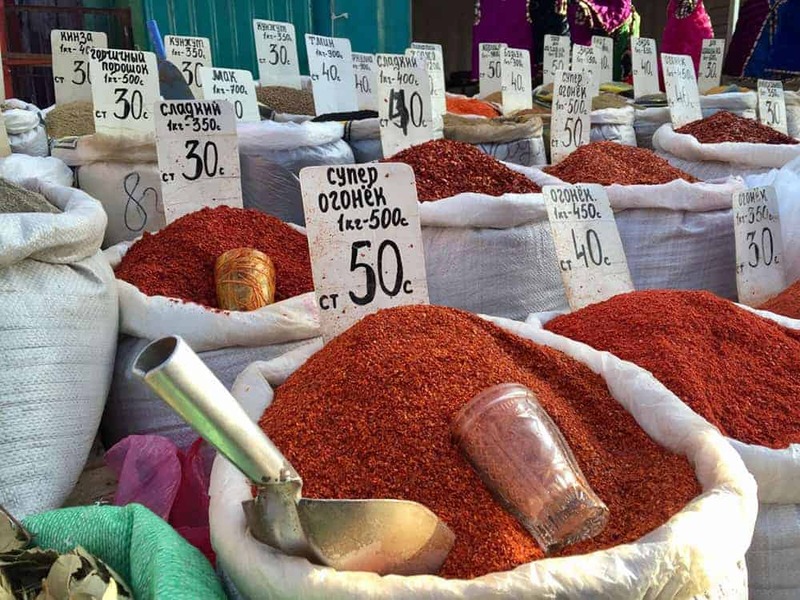 Among the items on our shopping list: roasted Sri Lankan curry spice (which is different than curry spices found elsewhere in Southeast Asia), red chili powder, cardamom, cinnamon sticks, tamarind, and dried fish. At each spice stand, we engaged the vendor with questions, and often learned a bit more about local spices and spice blends. 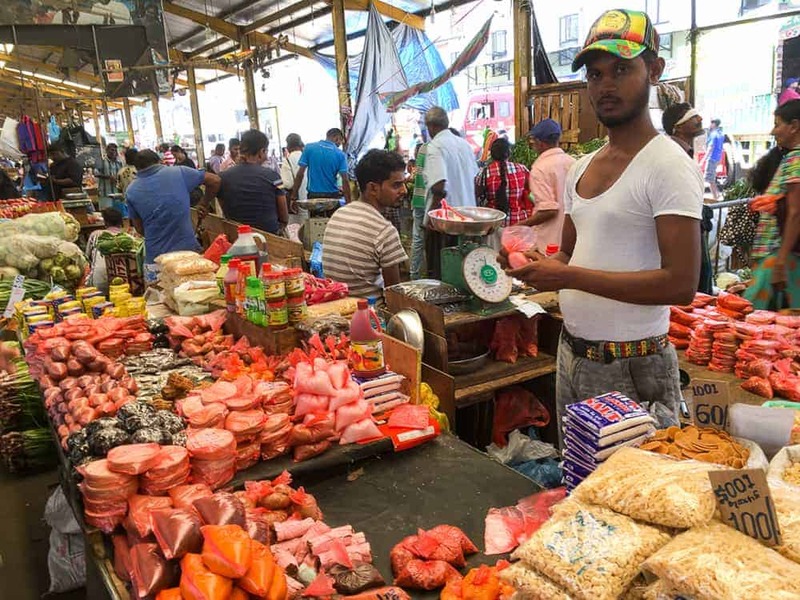 We came away with the basics of Sri Lankan cuisine, the vendors made some money, and we all had a good time talking about food and the dishes we would attempt to make when we returned home. Food souvenirs are also a fun and innovative way to share your travels and experiences with friends and family. Invite them over for a themed cooking night featuring dishes and stories from your last trip. You can explain each dish and where you learned to make it, where you first tasted it, or why it is so representative of that country’s cuisine. This sort of interaction provides more context and colour to all the travel photos you’d been sharing on social media. When we returned home to Berlin from Sri Lanka with this stash of spices and different ingredients, we invited a big group of friends over for a Sri Lankan feast. We made three of the six curries we had learned in the cooking class, plus an improvised version of a dessert we had tasted. On the surface, there are similarities between Sri Lankan and Indian curries, but quickly it becomes clear that the flavours and essence of the cuisine are indeed quite different. The same can be said of the culture. Over spoonfuls of curry with our food-curious friends, we enjoyed introducing them to new flavours. That process also helped to change and grow our relationship to the travel experience we’d just had. 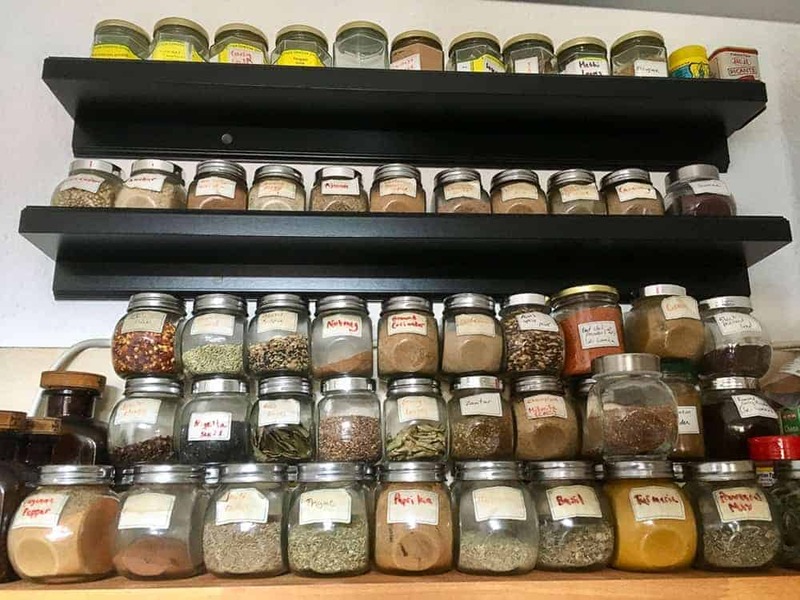 Once you use up your stash of spices of other foodstuffs from your trip, you can embark on a food scavenger hunt in your hometown to try and find replacements, or substitutes. This process can help you explore the diversity of food available where you live, while new connections and discoveries you make along the way will demonstrate the interconnectedness of our world. 1. Do your research. Check the official regulations to be sure of what’s allowed in to your home country, and from where, and what’s not. 3. If in doubt, buy items in sealed packaging or sealed plastic. You can often ask the vendor or someone else in the market to do this for you. This not only makes customs officials happy, but it also protects other items in your bag from leaks or odours. 4. For extra protection, be sure to wrap your food souvenirs in plastic bags to contain leakage or spillage in the worst case scenario. With bottles or liquids, wrap in T-shirts or bubble wrap and then put in one or more plastic bags. 5. Unless it’s something exceptionally delicate, pack food items in checked luggage, rather than carrying them on. We learned this recently the hard way: blocks of cheese can look like explosives when packed in a carry-on bag, especially if those blocks happen to be arranged around a battery-powered item, like a headlamp. In an attempt to bring cheddar cheese to a friend we were visiting in Italy, we’d inadvertently shut down the security line and set off the airport “bomb mode” because they thought our cheese was Semtex explosive. After the initial alarm, we and security had to chuckle. And we now know: cheese in checked luggage. There’s only one way to stock up on food souvenirs, and that’s travel.